If you are looking for a timeless design, the Anna is perfect an now available in our large wrist collection. 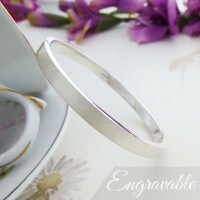 Solid 925 sterling silver, hand made in the UK with a quality look and feel! 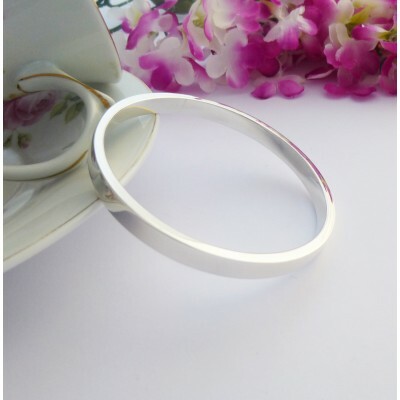 The Anna large size bangle is simple in design, very popular and has a weighty feel, made from solid 925 sterling silver with a rectangular cross section with a highly polished finish. 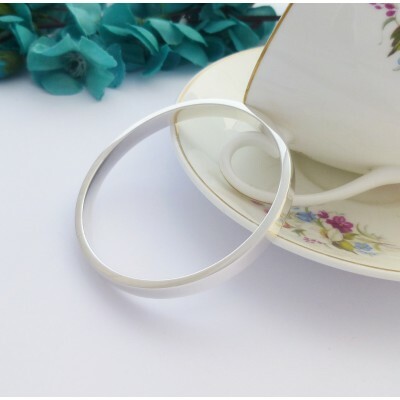 The Anna is a popular exclusive bangle because of the timeless classic design, smooth square edges and the quality that you get from a solid sterling silver bangle. 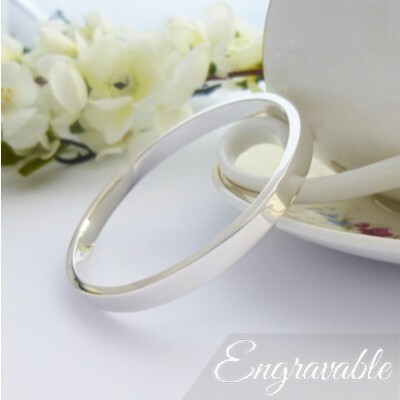 It is great as a gift and perfect for engraving, a wonderful addition to any jewellery collection for ladies that love the simple classics! 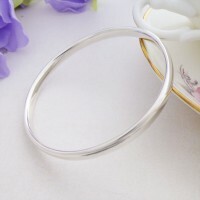 The Anna large wrist bangle is hallmarked in the UK, hand made by our silversmoth and exclusive to Guilty, it has a width of 6mm and depth of 3mm, with an internal diameter of 67mm. 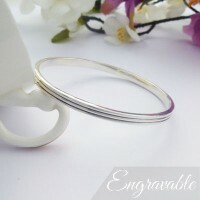 The Anna large wrist bangle is solid, hallarked in the UK in 925 sterling silver. The rectangular cross section of the Anna large is 6mm wide and 3mm deep. 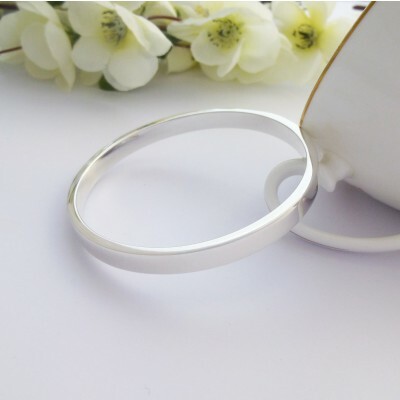 The internal diameter of the Anna is 67mm and the weight of this bangle is 42g.